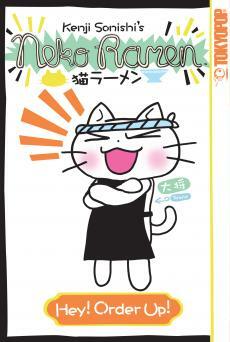 Neko Ramen (Tokyopop), written and illustrated by Kenji Sonishi, is a gag manga about a cat who works in a noodle shop. It originally ran in Mag Garden’s Comic Blade. 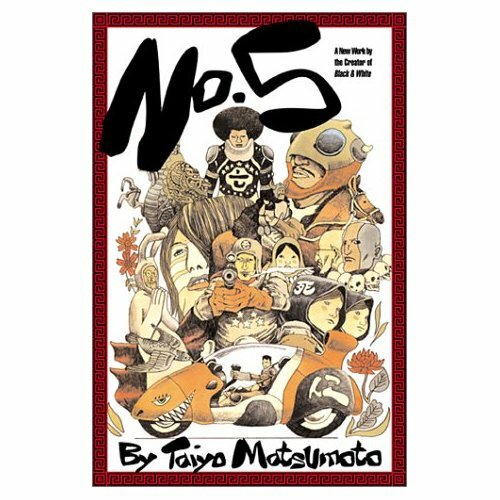 Viz released five two of eight volumes of Taiyo Matsumoto’s No. 5, which was widely reported to be one of the publisher’s worst-selling titles of all time. It originally ran in Shogakukan’s IKKI. 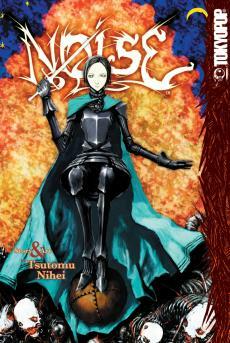 NOiSE (Tokyopop), written and illustrated by Tsutomi Nihei, is a prequel to that creator’s Blame! (also published by Tokyopop). Both NOiSE and Blame! ran in Kodansha’s Afternoon. Nihei is also the creator of Biomega (Viz). Natsume Ono’s not simple (Viz) originally ran in Penguin Shobou’s Comic Seed!, then ran again in Shogakukan’s IKKI. It received some of the most vigorously mixed reviews I’ve ever seen for a title, which made for very interesting blog reading. While Neon Genesis Evangelion (Viz), written and illustrated by Yoshiyuki Sadamato, originally ran in a shônen magazine, it’s been calling Kadakowa Shoten’s seinen magazine Young Ace home for the past couple of years. 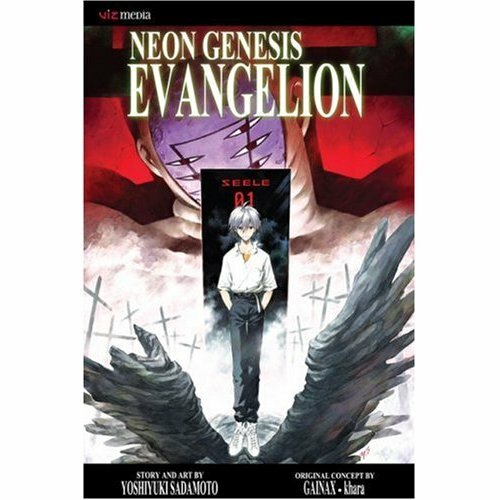 Maybe the best-known manga-ka from this corner of the seinen alphabet is Go Nagai, who has had a very prolific career that includes a number of seinen titles. Of all of the yet-to-be-translated titles that start with the letter “N,” I’m most eager to see someone publish Iou Kuroda’s Nasu, which originally ran in Kodansha’s Afternoon. 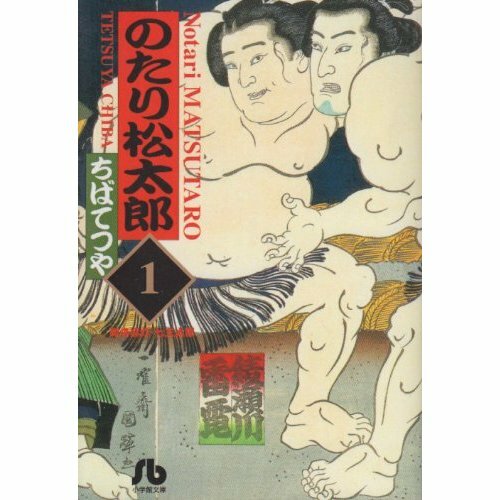 And while it seems rather unlikely that anyone is going to publish a 36-volume series about sumo wrestling, it’s nice to imagine a world where such a fate might be possible for Tetsuya Chiba’s Notari Matsutaro, originally published in Shogakukan’s Big Comic. Who or what starts with “N” in your seinen alphabet? Fill in my gaps, please! Before we get into this week’s letter of the seinen alphabet, I wanted to note something that makes me happy. 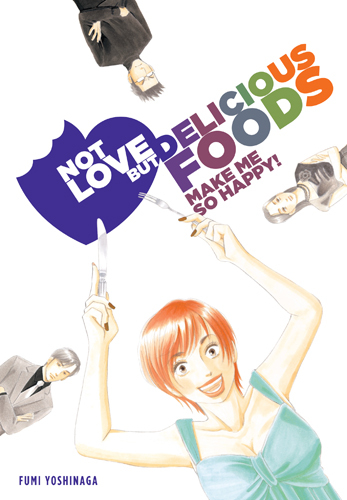 Yen Press has a new cover for Fumi Yoshinaga’s Not Love But Delicious Foods Make Me So Happy. It’s an improvement over the original, in my opinion. 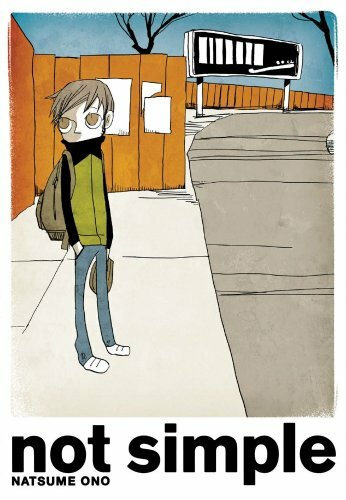 You are currently browsing the The Manga Curmudgeon blog archives for the day Wednesday, October 27th, 2010.